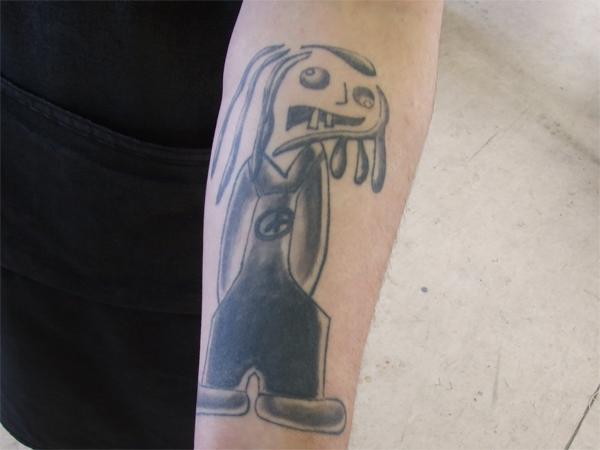 Meet Karlos, he loves On-One so much he had our 'Inbred man' mascot tattooed onto his arm! Legend! 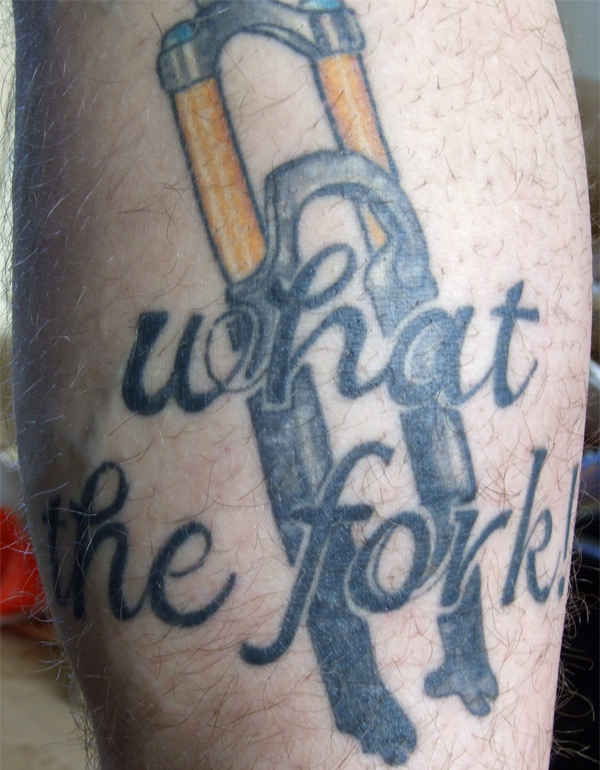 We thought it was a wind up when we first heard about Karlos' tattoos... As it turns out Karlos, a mountain bike mad bike mechanic at Recycle bikes in Sheffield has had a love of our classic Inbred frame ever since first slinging a leg over one some years ago. He decided to get our iconic mascot, 'Inbred man', permanently tattooed on his arm to show the world his bike of choice. The rest, as they say, is history. "I'm a bicycle mechanic in Sheffield and as you could imagine I ride a fair few bikes but to me nothing beats my On-One. Stiff where it wants to be, strong enough to take air time but also the perfect geometry for a good 5-6 hours in the saddle. I can’t rave about these bikes enough, whether it be a blast in the woods or a full day in the peaks. I had this idea that I wanted that little funny man tattooed on my arm, 2 hours and a bit of pain later here he is! Free On-One advert for life!" Karlos, we salute you. Could Karlos be the ultimate brand disciple?! Check out his tats below and make your mind up... Can anyone beat him??? Reckon you could unseat Karlos as the undisputed On-One fanboy!? If so send us your pictures by email to [email protected]. We wanna see tattoos, custom graphics, gnarly videos, fan art... Anything and everything you like, the geekier the better! We'll stick our favourite bits and pieces up on our website too. So go on, go mad! Want to see what all the fuss is about? Click here to check out our legendary Inbred frame or click here to see our latest Inbred SLX complete bike.